In Windows there is AVG, Kaspersky was in Linux there is ClamAV and avast!. Install ClamAV (at USC named Virus Scanner). Run through the Application – Accessories – Virus Scanner. Run Avast via Application – Accessories – avast! Antivirus. Java is very important to open the application that requires Java in the browser. For example if we are going to upload the photos on the Facebook site. In Windows there is a Windows Media Player, Real Player. With Ubuntu multimedia can use VLC, MPlayer. In order for multimedia applications can run on Ubuntu, it takes a lot of multimedia codecs. Installing VLC and MPlayer will install a lot of multimedia codecs. NEW YORK – Research In Motion announced plans Friday with smartphone launched five new operating system, BlackBerry 7. With its partner carriers and their distribution throughout the world, RIM ready to introduce two new models of BlackBerry Bold (9900/9930) and the last three models of the BlackBerry Torch (9810, 9850 and 9860). This was stated by RIM through a press release via Crackberry site on Wednesday (08/03/2011). “This is the largest global launch we’ve ever done,” said the President as well as Co-CEO of RIM’s Mike Lazaridis. “Solution of the BlackBerry offers the best mobile communication experience in its class. We think consumers will be pleased with the performance of mobile phones as well as faster browsing, as well as a richer multimedia features of the BlackBerry Bold and the latest Torch,” he added. Displays software and hardware new of RIM, the fifth this smartphone allows users to choose the design and functionality that best suits their needs. In addition to showcasing the latest software version (OS7), the fifth smartphone is also equipped with 1.2 GHz processor, high-resolution graphics (24-bit) as well as advanced sensors for applications based augmented reality (AR). Google has launched a new version of Android Market, the digital store that provides the Android phone users more than 100,000 applications and games. “You would be pleased to discover that we have revised Android Market, in order to make it faster, easier and more enjoyable for you to discover applications, movies and books. We have created a larger space for posting the most interesting content of the week in the home page. Several top-charts have been added, with newer and more relevant items and now it is easier to go through the charts while navigating the stores”, explained Google in an official blog post. The improvement of the Android application store is due to some complains the users have made towards the previous versions. Despite being the leader in the online search segment, Google has initially created a heavyish interface for the application store. 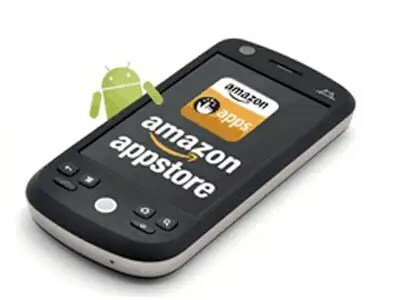 In addition, Android Market has a worthy opponent in the Amazon application store dedicated to the Android platform, which has succeeded in convincing several publishers to launch applications exclusively for the Amazon portfolio. Therefore, Google has some catch up to do in order to remain relevant on his own mobile platform. We shall see if the redesign of the store will succeed in attracting the users. Has the dream of desktop Linux been taken up by Android? According to an article on Linux Journal, the Linux desktop has arrived. The question, then, of whether Android is Linux seems to be settled in the mind of Google. Android is most definitely Linux. But there’s more to it than that: Google believes that Android is the natural successor of Linux, succeeding in areas that the parent operating system could not. Looking at the relationship between Android and Linux, I cannot help but be reminded at the relationship between Unix and Linux back when Linux was fresh and young on the operating system scene. Talking with some Unix sysadmins back in the day, it wasn’t uncommon to hear resentful dismay at the success that Linux was enjoying around the turn of the century, when LinuxWorld was booming, IBM was sponsoring, and the defeat of Windows seemed to be an attainable goal. It wasn’t all resentment–the spectrum ranged from enthusiastic to grudging support as well. Whatever their feelings, Unix developers and administrators watched their own prominence in the enterprise fade in the face of the rise of Linux. And now we see the same thing happening with Android, as Android starts to succeed in an area that Linux on the desktop never could: touching consumer users. DiBona’s pride in his statement is very evident, and he can hardly be blamed. Android may become the dominant mobile platform, a platform that is rising to become the prominent platform of the next decade or so. I have to admit, my initial reaction to DiBona’s statement in this interview was probably very similar to what a Unix advocate would have felt if something similar had been said about Linux being the ultimate dream of Unix, back in the day. It was irksome, I thought, and a tad presumptuous. Who is Google to say that they have fulfilled the dream of desktop Linux? Android could be the fulfillment of the dream for desktop Linux, because even though it is different from Linux, it is not apart. Android is the child–initially precocious and now maturing rapidly–who is doing better than the parent. The success of the child does not automatically replace the works of the parent, either. 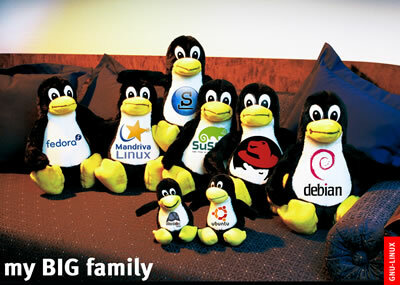 Linux will no more be completely replaced by Android, any more than Unix was completely replaced by Linux. And there is a key difference: while Linux had roots in Unix, they were never really connected. Thanks to free software licenses, Linux and Android are still technically connected, exchanging improvements as they are created. The Linux and Android story is not over. Linus Torvalds said a few years ago that someday there would be some technology somewhere that would be better than Linux. Has that time come? Amazon’s Android Appstore is a “disaster,” says Swedish game developer BitHack in a scathing blog post (via GigaOm). BitHack’s app Apparatus was being sold in the Amazon Appstore, reaching as high as #3 in paid rankings, but the company hated just about everything it had to deal with so it’s pulling the app from Amazon and focusing on Android Market. It takes too long to have an app approved. Amazon spent 2 weeks reviewing the app. Then it rejected it for something relatively minor. The app was resubmitted, then it took another week before being approved. Updates to the app take a long time to be approved, also. Amazon doesn’t do a good job of filtering which devices apps go to: Apparatus shouldn’t be on certain Android phones because it looks and plays worse on small screens. So, the developer has a filter system in place that works well in the Android Market preventing the wrong devices from getting the app. That filter system doesn’t work with Amazon. As a result, the app got a lot of bad reviews from angry users. Appstore is U.S. only, which was a problem for a Swedish developer: Apparatus got a negative review, which was incorrect. The developer wanted to respond, but couldn’t because he is in Sweden. Amazon says you have to buy something before you can comment. But he can’t buy something because he’s not in the U.S. So, the complaint stuck and hurt sales. New Comscore data reveals Android is winning the U.S. smartphone horse race robbing a disproportionate amount of market share from RIM’s Blackberry mobile operating system. In the race for smartphone dominance the Android OS reigns supreme with the once leading Blackberry OS drifting rapidly to the bottom of the heap. According to statistics from market analysts at Comscore Americans continue to turn away from Blackberry. Meanwhile, in a three-month period ending in May, smartphone ownership in the U.S. rose by 11 percent according to Comscore. Google Android devices lead the smartphone pack with 38.1 percent of all U.S. mobile subscribers, a 5.1 percentage point increase compared to the three months previous. Apple followed a distant second with 26.6 percent rising by 1.4 points, and Research In Motion came in third with 24.7 percent, a loss of 4.2 percentage points. RIM is still a major player in the U.S. smartphone market but the company is steadily losing market share. Blackberry was the second largest mobile platform as early as three months ago when comScore last released its previous usage data. If you go back even further comScore’s numbers tell a darker tale for RIM. In May 2010, for example, comScore pegged RIM as the dominant smartphone force in the U.S. with 41.7 percent of the market. Meaning the company has lost 17 percentage points in the past 12 months, based on comScore numbers. But RIM isn’t the only company to struggle with the growing dominance of Android. Despite critical acclaim for its Windows Phone 7 platform, Microsoft continues to disappear into irrelevance among U.S. smartphone users. Over the past 12 months, Microsoft has lost 7.4 percentage points dropping from 13.2 percent of the U.S. smartphone market to just 5.8 percent, according to comScore. Popularity for Palm’s WebOS is also dwindling, but WebOS may experience a resurgence now that it has the marketing power of Hewlett-Packard behind it. HP in April 2010 bought Palm for $1.2 billion. Even second place Apple is struggling to keep up with Google. Looking at comScore’s May 2010 numbers, Apple was second place at 24.4 percent of all U.S. mobile subscribers. Google, meanwhile, occupied the fourth spot just behind Microsoft with 13 percent of U.S. smartphone users. Android has grown incredibly over the past 12 months, while Apple’s popularity has remained relatively stable. As Android’s lead steadily increases, the U.S. smartphone market is quickly turning into a two-horse race between Google and Apple. And it’s not just comScore’s numbers either; other metrics firms such as Nielsen are finding similar results. The fact is, if RIM, Microsoft and WebOS keep slipping who knows if there will be a credible third place challenger to Android and the iPhone by the end of the year?